The American Cancer Society has updated its age for initial screening of colorectal cancer to 45, based partly on statistics showing that rates of colorectal cancer are on the rise in young and middle-aged people. The recommendation is for people at average risk of the illness. The findings were published online in CA: A Cancer Journal for Clinicians, a peer-reviewed journal of the American Cancer Society. The change in starting age is designated as a “qualified recommendation,” because there is less direct evidence of the balance of benefits and harms, or patients’ values and preferences, related to CRC screening in adults aged 45-49. Most studies have included adults only aged 50+. The recommendation for regular screening in adults aged 50 years and older is designated as a “strong recommendation,” on the basis of the greater strength of the evidence and the judgment of the overall benefit. 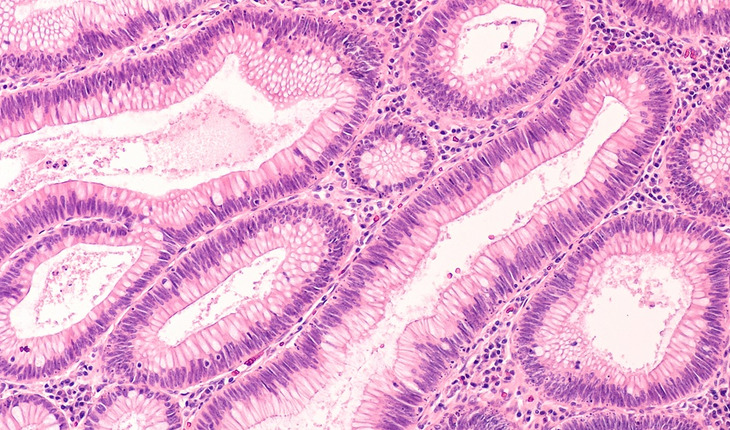 While the colorectal cancer incidence rate among adults 45 to 49 is lower than it is among adults 50 to 54 (31.4 vs. 58.4 per 100,000), the higher rate in the 50-54 age group is partially influenced by the uptake of screening at age 50. Since adults in their 40s are far less likely to be screened than those in their 50s (17.8% vs. 45.3%), the true underlying risk in adults aged 45-49 years is likely closer to the risk in adults ages 50 to 54 than the most recent age-specific rates would suggest. Importantly, studies suggest the younger age cohorts will continue to carry the elevated risk forward with them as they age.